On my most recent trip to Ireland, I made sure to include an extra day so I could spend some time in one of my favorite cities – Dublin. Although I’ve visited the country a number of times in recent years, it had been a very long time since I stayed the night in Dublin and I was excited to revisit some favorite spots. 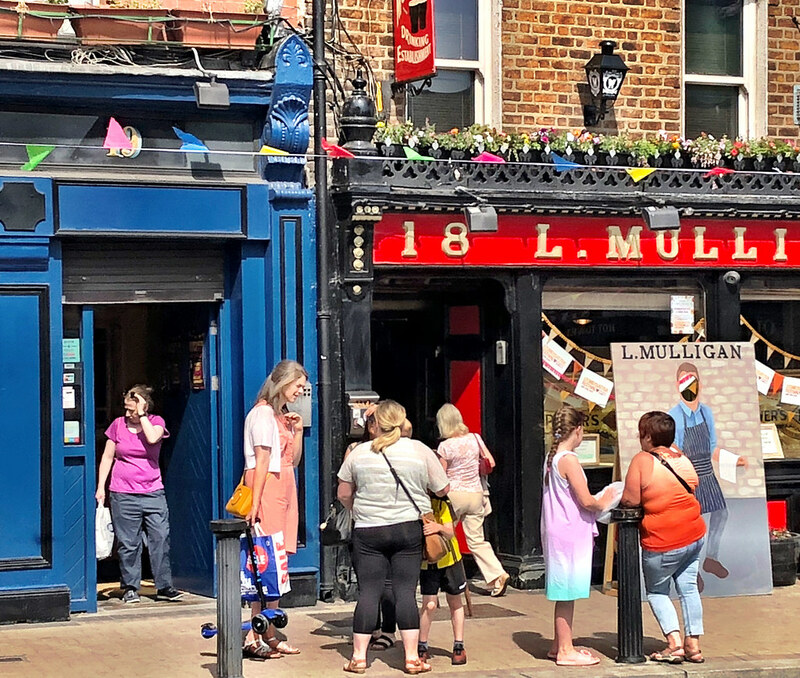 I was also excited though to discover new-to-me parts of the city, including taking a unusual food tour through one of Dublin’s neighborhoods. 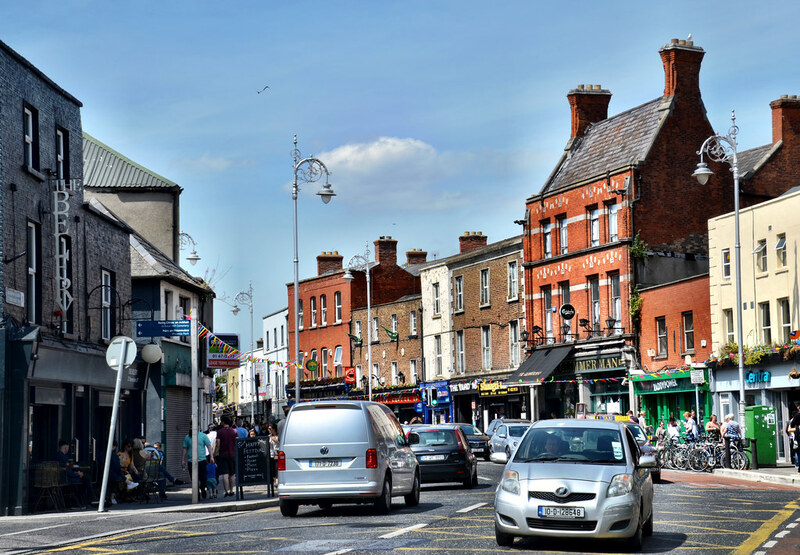 Definitely not your typical tourist haunt, I soon came to appreciate the quiet neighborhood of Stoneybatter and learned to appreciate the entire city more than I thought possible, all thanks to an afternoon enjoying some of the best bites in the city. Food tours have now become the norm is cities around the world and are one of my favorite ways to learn about new places. Not only is the food tasty and the outing fun, but there’s no faster way to learn about a destination’s culture and history than through its food. Since I thought I was already well familiar with Ireland and its quirky ways, I was curious as to what, if anything, I would learn on the tour. Thankfully, the folks at Fab Food Trails don’t run your average food outing. 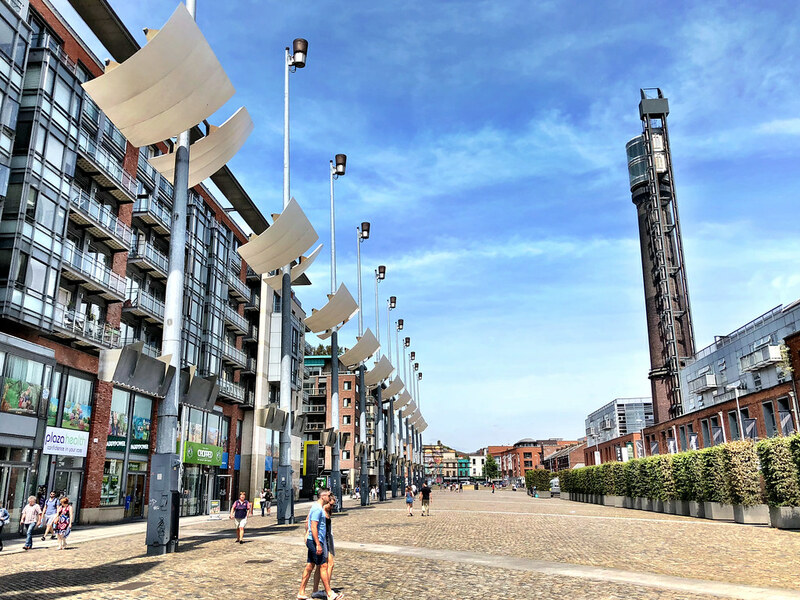 Instead of one set route that they take visitors along three times a day, every day, they vary their tours from neighborhood to neighborhood, guaranteeing outings that are always changing, as well as new ways to experience Dublin. The guides are local and the groups are small, which means a fun and immersive experience that attracts just as many locals as it does tourists. In fact, on my tour I was outnumbered by the Dubliners who joined me, all curious to discover those spots that they’ve long ignored over the years. I had never heard of this neighborhood not far from the city center until I found myself in the middle of it with my guide for the afternoon, Evelyn. At first I was deeply confused. It looked like a nice area, a pleasant place to live but there was certainly nothing touristy about it. As it turns out, that came to be an important aspect of the tour. From coffee shops to small markets to thriving cafes, the many stops shared not only some of the best traditional food in the city, but the edgy ways in which the culinary scene is quickly changing. That’s perhaps best seen at the small coffee shop that has garnered international attention, Proper Order started by Niall Wynn in 2016. As with so many creative types, Niall never thought he’d be a master barista, but that’s exactly what happened. The shop’s uniquely roasted and constantly rotating selections have garnered international attention, and Wynn has even represented Ireland at the World Barista Championships. 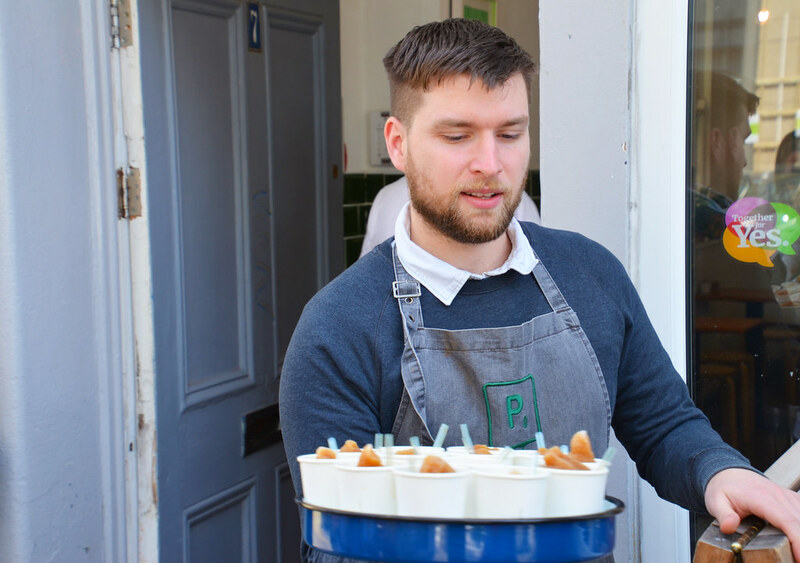 We were there to try his special creation, a coffee slushy that manages to fuse a refreshing drink with the flavor (and caffeine) of a cup of coffee. 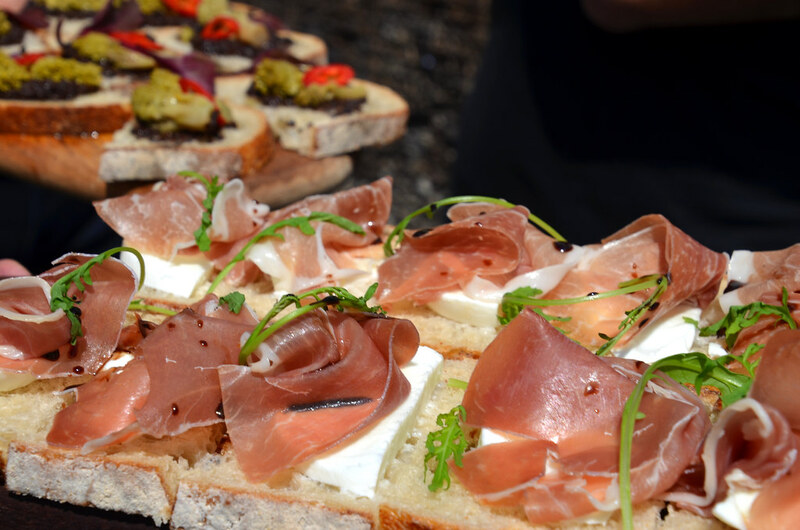 It was tasty on a warm summer’s afternoon and the perfect introduction to a community that has recently redefined itself and is now one of the most creative and artsy in the city. What used to be a neighborhood on the decline is now a center for Millennials and hipsters, part of a global trend of revitalizing communities through food and drink. 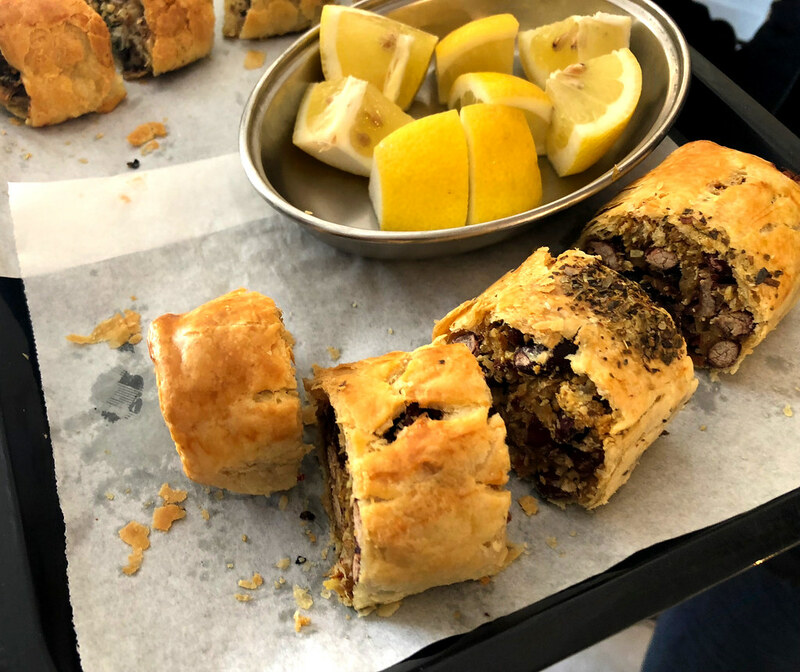 Strange twists on the traditional sausage roll, cakes that are worth waiting for and even traditional black pudding with potato cakes, the food walk captured everything I love about Ireland, but with a twist. We were lucky that Saturday afternoon, there was a festival in the neighborhood and the streets were packed with families out and about for the day. It also didn’t hurt that it was a glorious summer day, the likes of which are rare in Dublin so when they happen everyone celebrates. It was fun being a part of the community for the day, instead of a camera toting tourist just out to capture the city’s iconic spots. Escorted by a true local, I felt like I was being let into a secret, shown parts of the city I would never even find on my own, must less explore. It brought Dublin to life for me in a way that had never happened before, it humanized it. Sure, the Book of Kells and the Ha’Penny Bridge are great, but they’re tourist sights ultimately. In order to truly understand any city, you have to live it and that’s what the Fab Food Tour accomplishes in a short 3-hour walk. We ended our day at a gastropub, as famous for its menu as its beer selection. Trying yet more traditional Irish food reimagined, it was the ideal way to end the walk. It encapsulates everything about Dublin that is exciting. New people are moving into the city every day, transforming the culture in every way imaginable, but especially through the food. 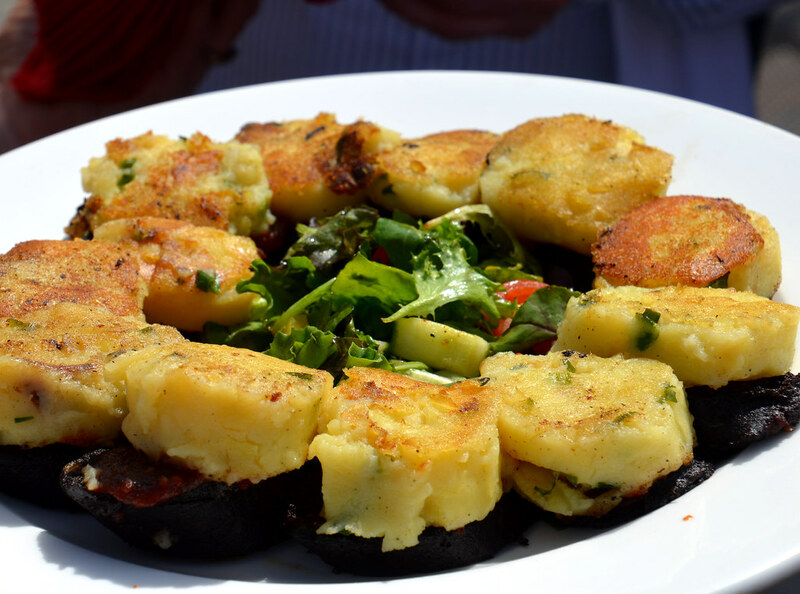 As a result, Dubliners and all Irish people really are being introduced to new tastes and flavors, eventually incorporating them into their own favorite dishes. It’s an exciting time to be in Dublin for sure, best seen through a leisurely walk through what’s new and exciting in the food scene of the city.